Recommended credits are shown in parentheses. Course descriptions for all Spanish language courses are available on the AIFS website. Courses are subject to change at the discretion of the UPF. Contact the AIFS Admissions Officer for current course listings. ECTS: Universitat Pompeu Fabra awards ECTS (European Credit Transfer and Accumulation System) credits. The number of class hours and ECTS credits will be shown on the transcript to allow each student’s home institution the ultimate decision in the awarding of U.S. credit. Recommended U.S. semester credits next to each course are based on 15 classroom hours per semester credit and are not a conversion of ECTS credits. Students should consult with their university advisors prior to participating in the program to have course credit preapproved and ensure that they are taking the appropriate amount of credits. Students taking Spanish language should seek pre-approval for several levels of Spanish from their home institution in order to ensure that they receive credit for the level that they are placed into following the placement test. Students on this program can take up to 15 credits. Apart from Spanish language courses, all courses are taught in English unless otherwise stated. Students who wish to take courses taught in Spanish should ideally have completed 4 semesters of college level Spanish. Once labeled by Newsweek magazine as the “coolest city in Europe,” Barcelona enjoys the reputation of a cosmopolitan city with a great international projection. Like all places, however, it is not without its complexities and contradictions. Behind a glossy and tourist-friendly façade, the city has a complex history. This interdisciplinary course covers subjects in history, geography, art, architecture, and urban planning. We will also discuss issues relevant to people living within the city of Barcelona today. This course focuses on how football (soccer) shapes the social, economic and cultural realms, and tries to interpret the different links between the game itself and the dimensions surrounding it: media coverage, aesthetic value, political targeting, public and corporate policies. In that context, FC Barcelona remains a unique case, studied in business schools as an example of global market branding, while passionately lived by millions of fans all over the world. This course celebrates the city of Barcelona and embarks students on a journey to better understand the concept of sustainability and its novel developments. From an environmental, social and business perspective, the course covers the main challenges that sustainability raises for the city of Barcelona and beyond. Relying on innovative individual and collective pedagogical practices, the course offers an integrative and deep learning process. The objective of this course is to introduce the student to the main periods of art in the 20th century. The main background theme: the complex relationship between tradition and vanguard, classicism and modernism, and revolution and artistic reaction throughout the century. The class will center on approximately five Catalan (or from nearby in Spain) artists, but has doubtless international relevance. The course begins by taking the most significant works of arts, and uses them as a method to create a historic or biographical conversation, always as a part of a plastic language. In this course students will be introduced to the Catalan language and culture gaining a basic grounding in the language. The main artistic developments will be covered as well as some political, historical and cultural issues that might be relevant. Landscape art, gender production, the Spanish take on Primitivism and the dynamics between artistic creation and finance capital are some of its more relevant aspects. Although this course is mainly based on lectures and class debate, three visits to galleries and exhibitions plus a self-guided visit will be also part of the course requirements. These visits will be made during the class time, and are equivalent to a usual in-class session. The course offers an introduction to Spanish cinema from the start of Spain’s democracy in the 1970s, until present day. It pays particular attention to filmmakers highlighted for their artistic value and their capacity to reflect on the most remarkable traits of contemporary Spanish reality and culture. The different class sessions display the variety in recent Spanish cinema, considering the famous works of Pedro Almodóvar, Victor Erice, Julio Médem, Alejandro Amenábar, or José Luis Guerín. This course is designed to give both political science and nonpolitical science majors a robust overview of key features of Spanish Politics. The core of the course is the study of the nature and functioning of the Spanish democratic system established by the late seventies. It pays special attention to the main political processes, institutions, actors, belief systems and political behavior in the country, including contemporary political violence and international immigration. At the beginning of the course, some sessions will be devoted to study the previous Spanish democratic experience (1931-1936), its collapse (1936- 1939), the authoritarian rule imposed afterwards and the Spanish transition to democracy (1975-1978), episodes that have left their mark on the features of the current Spanish political system. Since the globalization of the economy at the end of the last century, the context of brand communications in today’s businesses has radically changed. Communication strategies to reach any type of target group are challenged to anticipate stakeholders’ interests, build brand equity beyond good products and services and be able to remain competitive in a highly-active technological context that has reversed some of the traditional ways of managing businesses. Examines the nature and complexity of interactions between the regions of the Mediterranean during the second and the first millennia BC. The cultural florescence of the Ancient Mediterranean civilizations had its origins in a series of colonial entanglements beginning first in the eastern Mediterranean. A period spanning more than two thousand years, and ending with the Roman conquest, colonists, merchants, sailors and conquerors sought to benefit from the commercial and cultural opportunities provided by the riches of the eastern, central and western Mediterranean. Introduces the main institutions and the structure of the EU to U.S. students. The course will examine the origin and the development of the European integration process and the institutional structure of the EU as well as examining policy issues on integration, the EU budget and the EU in the international scenario. The course aims to put the contemporary discussion of globalization into historical perspective by examining the long-lasting interactions of East Asian countries, Latin America and Southern Europeans from 1500-1800 in order to offer a rich and understandable explanation of three hundred years of globalization. The course will focus on the debate about economic histories of divergence between the East and the West. The course looks at world news management up until now before analyzing the consolidation of global media such as Al-Jazeera in the Arab world, Tele Sur (Latin America) or Zee TV (India) to look at their role in the global news story and the development of “South-South” communication. Through the analysis of case studies such as the media coverage of Islam, the Africa story, the European Union and finally the image of Spain in the foreign press, we can analyze the role of the foreign correspondent as an intercultural mediator, the media construction of the “Other”, the new actors in the global news narrative and ask the question: how does the future of the world news system shape up? This course looks to offer an analysis of the performances of social movements in diverse parts of the world due to different phenomena of the 21st century, such as globalization, political and economic crises, and the process of democratization. This course will address proposals, different forms of organization and actions, debates raised, and the impacts generated by movements in Arab and Western countries. The course will combine different perspectives from different academic disciplines, including political science, international relations, sociology, economics, gender studies and investigative journalism. Students wishing to take a Spanish language course take a placement test after arrival in Barcelona. Please see the UPF website for course syllabi. The International Management course is mandatory. Students must also take at least one additional course from the ESCI-UPF International Business Program. Students who do not wish to choose all of their elective courses from the International Business Program courses can choose to take two or three courses from the HESP program, Spanish language or from the ESCI-UPF regular undergraduate course offerings. This course is designed to prepare students to better analyze and understand the challenges and opportunities that companies face when expanding their activities internationally. Special attention will be placed upon the different tools and analytical skills available to and required for various specialized managerial roles when businesses are competing internationally. The course is comprised of 3 segments: The first is designed to offer students insight into the challenges posed by the international environment. The second will focus on the analysis of global organizational structures and international strategies. Finally, the third will deal with international management operations, with a particular focus on import and export strategies and financing. Recommended prerequisite: Business Organization. The course is divided into two sections: In the first section students will analyze various trade models and policy instruments, as well as the behavior of “real economic variables.” In the second, they will explore topics related to international finance, such as the foreign exchange market, the international financial architecture, or the balance of payments and the relationship it bears to the forex market. Recommended prerequisite: Introduction to Economics (Microeconomics and Macroeconomics). This course aims to provide students with a good understanding of the international financial markets and their impact on financial decisions and management at international firms. The course covers a range of topics related to the international monetary system, the foreign exchange and derivatives markets, the financing of international firms, foreign investment operations, and foreign exchange risk management. Recommended prerequisite: Finance. The course is structured into two sections: The first offers a global view of Europe (historical background, evolution of the EU, its institutional structure, and its domestic and foreign policies). The second analyzes the European business environment, paying special attention to differences in managerial and consumer behavior in order to understand and identify economic, political, social and cultural dimensions of the EU that might represent opportunities for business development in the region. Recommended prerequisite: Business Organization. In the international sphere, accounting principles are converging (IFRS, USGAAP, etc.). In this context, and in order to take important business decisions, it is imperative to be able to build, read, understand and analyze the financial statements of companies, no matter which country they are from. One of the goals of the course is that students master the vocabulary of financial statements and accounting reports, and use it to communicate with internal and external interlocutors. It also focuses on how to measure corporate investments and to consider the different finance resources that are currently available. Recommended prerequisite: Business Organization. Please note that undergraduate courses with local students at UPF operate under the European Credit Transfer System (ECTS) and courses will appear on transcripts as ECTS credits. AIFS recommends that undergraduate courses transfer to your U.S. home institution as 45 hours of instruction and 3 semester credits. 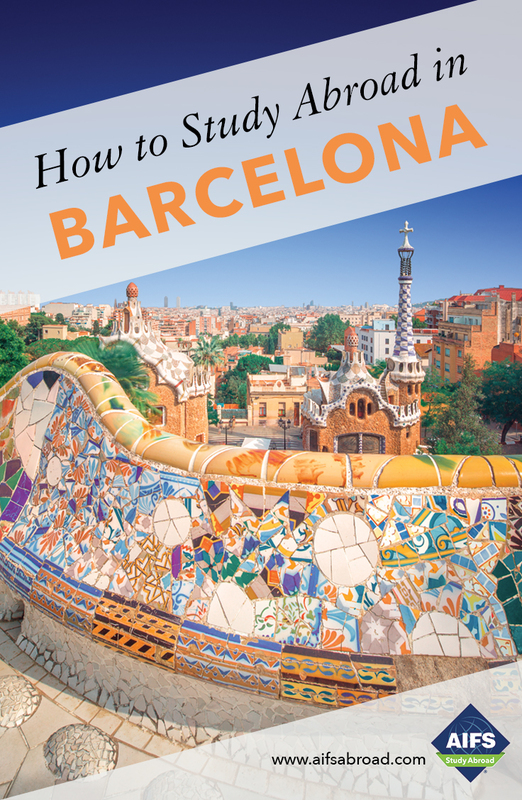 It is your responsibility to obtain course credit approval from your university adviser at home before arriving in Barcelona. Exams for some ESCI undergraduate courses are on a different academic schedule to study abroad courses. If necessary, you may need to work with your ESCI professor to schedule exams prior to the program departure date. AIFS may not be able to advise students of conflicts between the International Business Program and regular undergraduate courses until students are on-site in Barcelona. Students should also select electives from the International Business Program and HESP courses in case their undergraduate course requests cannot be fulfilled. Courses are taught in English and Spanish. Below is a list of undergraduate courses that have been offered in the past. Please contact the AIFS Admissions Officer for a current list of available ESCI undergraduate courses. As part of their course load students may take a Spanish language course for 6 credits. Students wishing to take a Spanish language course take a placement test after arrival in Barcelona.